Former Urban Outfitters employee Tatiana Swiderski is suing the company because, she says, her managers at the Fifth Avenue store in New York City ignored her complaints about customers harassing her. Swiderski says she encountered several instances of harassment, including a customer taking video up her skirt, the New York Daily News reported. The 25-year-old began working at the store last September and experienced her first harassment-related clash with management in November. During that incident, Swiderski told the Daily News the store’s security caught a man shooting video up the her and another employee's skirts as they walked up stairs. "He was following us repeatedly up and down the stairs and just sticking the camera up our skirts," she said. Swiderski said she asked her bosses to call police or at least give her the man’s name so she could report him. But she says management refused her requests, and store security just asked the man to erase the video and released him. She claims the security guard then mocked her for complaining about the customer being let go, asking her, "What are you wearing under your skirt?" In a second incident, Swiderski says a customer grabbed her lip, asked to see her teeth, licked her cheek and then attempted to pull her breasts out of the front of her dress. She says security again refused to call the police and just walked him out of the store. After complaining about that incident, she says she was assigned to work in the store’s stock room. She quit just a few weeks later in December. Swiderski is being represented by Christopher Van De Water of the Arce Law Group. She is seeking unspecified money damages in the suit. 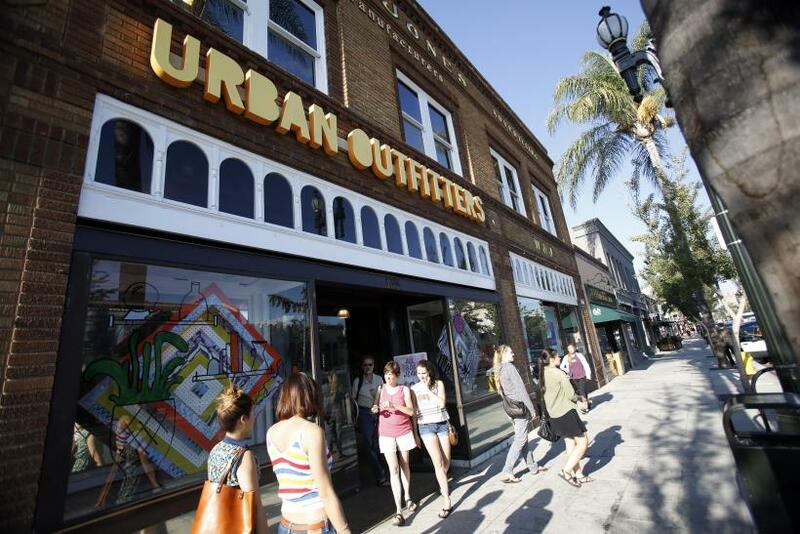 Urban Outfitters released a statement on Swiderski’s claims, saying it "abhors unlawful discrimination and harassment” and has set up “policies which prohibit such conduct in the workplace." The company is currently investigating Swiderski’s allegations.